Ask anyone about cleaning and they will tell you that the shower screen is the hardest job of all to complete. 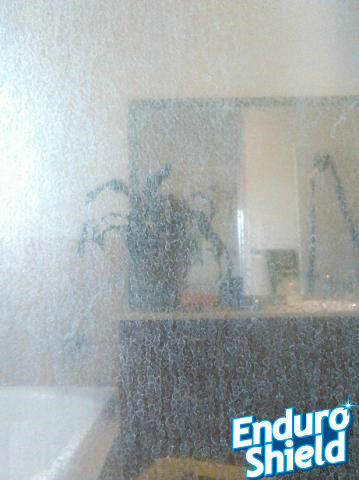 Do you hate trying to clean the shower screen knowing that you will never get the glass totally clean? Are you wasting your time and money on all kinds of chemicals? The EnduroShield Glass Restoration System will restore your glass to a new condition and then we protect the surface with EnduroShield so the etching and staining never occurs again. EnduroShield Queensland will carry out an inspection of the shower screen glass, we will advise you if the glass can be restored and confirm the price with you before any works are carried out. Our service is friendly in all aspects of our works, the restoration process normally takes around one to two hours to complete. 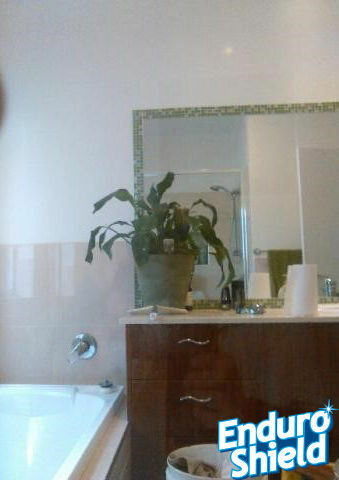 The glass is not removed to complete the restoration and once completed the shower can be used after six hours. 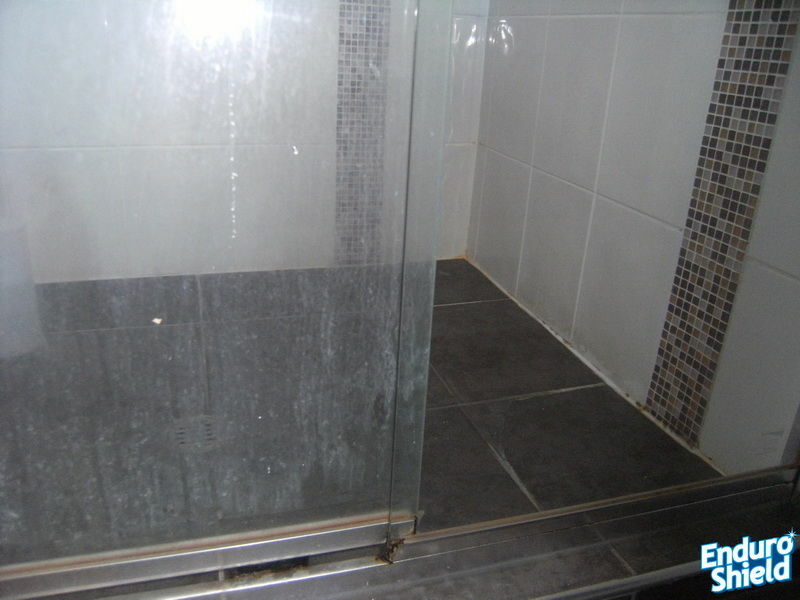 The restoration of the shower screen glass is well below any replacement cost of a new shower screen. Extensive testing has proven EnduroShield to be highly durable. A genuine 10-year limited warranty is provided for all glass restoration and EnduroShield applications.